My internet has been really spotty lately so I'll try and get this post up quickly before it goes down again! Last summer my husband and I went to Yosemite so he could shoot a wedding. While we were there, he snapped this photo of me with the iconic Half Dome in the background. I had a lot of fun raiding my stash for black or white items to use. I started with basic white cardstock and layered on paper scraps, paper doilies and matching strips of plaid ribbon. Paper from DCWV's Black an White prints paper stack made the perfect photo mat. It's a stack I almost never use because of the lack of color, but in this case it was just what I needed! This was my first time ever participating in a challenge from White Plus 1, but a really loved how my page turned out! The color to pair with white for the month of June is black (or maybe a really dark gray?) an I love the contrast between the two. I will definitely be checking in to do another one of their challenges soon! The layout this month comes from Let's Get Sketchy's June challenge. 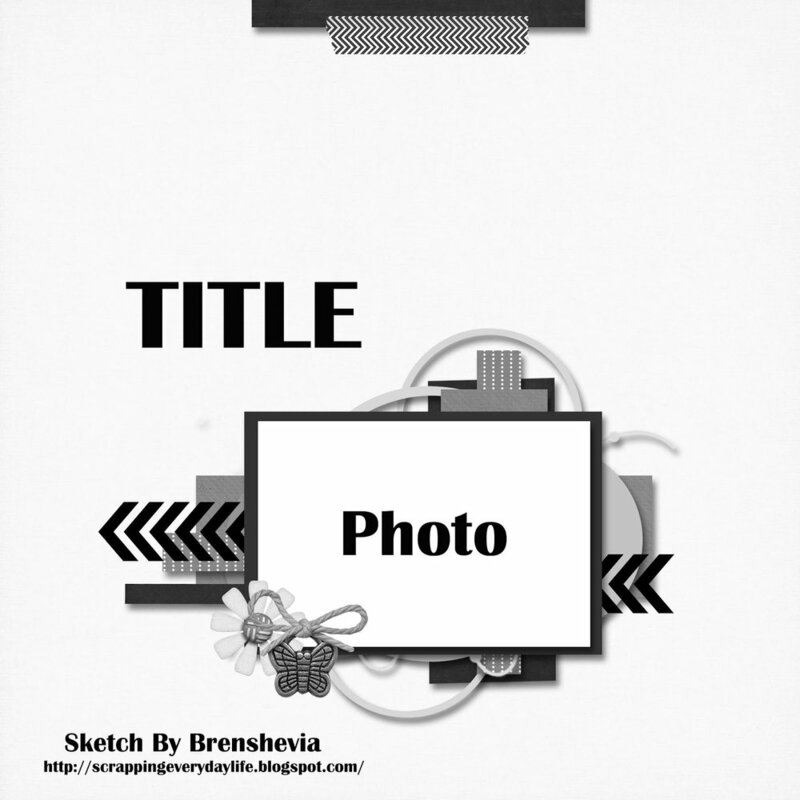 It was a perfect sketch to feature the single large photo I had and gave lots of inspiration as to how to embellish my page.